A missing boy. A missing book. A missing husband. A woman who must find them all to find herself …On the night Bernadette finally has the courage to tell her domineering husband that she’s leaving, he doesn’t come home. Neither does Conor, the little boy she’s befriended for the past five years. Also missing is his lifebook, the only thing that holds the answers. With the help of Conor’s foster mum, Bernadette must face her own past, her husband’s secrets and a future she never dared imagine in order to find them all. Exquisitely written and deeply touching, The Mountain in My Shoe is both a gripping psychological thriller and a powerful and emotive examination of the meaning of family … and just how far we’re willing to go for the people we love. But she is also at the end of her tether. On the very same evening that she finally plucks up the courage to leave, her husband doesn't return home from work. This in itself is strange enough, for your can set your watch by him usually. But there is something else- an important document is missing from the house, one that Bernadette really needed to pack. Bernadette decides to leave anyway - perhaps she has already packed the document and forgotten that she has done so...But just as she is about to leave, a telephone call changes everything. Conor, a young boy who Bernadette has been volunteering for and befriended under a local scheme, has not returned from school. Suddenly her husband's disappearance seems insignificant and Bernadette rushes to be with Conor's foster parent Anne's house to offer her support in looking for him. 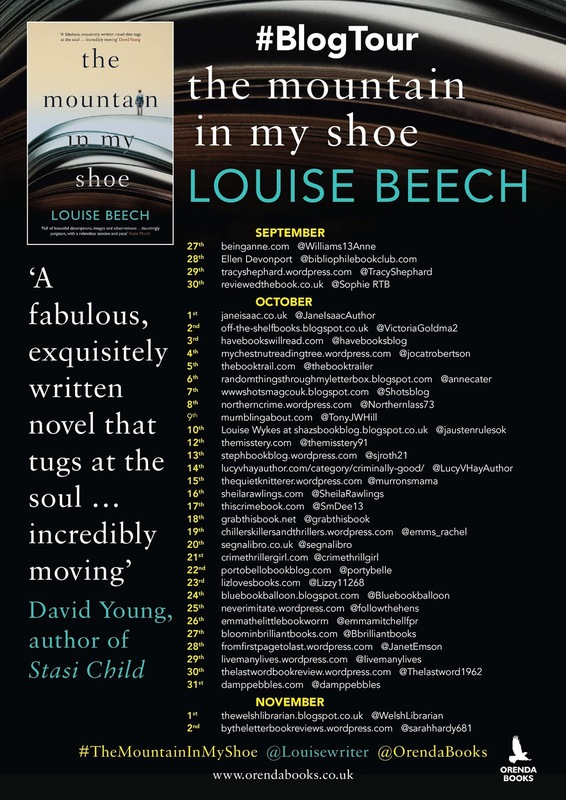 As they search for the young man, Bernadette finds herself the subject of some very important and some very awkward questions, and she realises that her links to Conor are stronger than she ever dared to imagine. 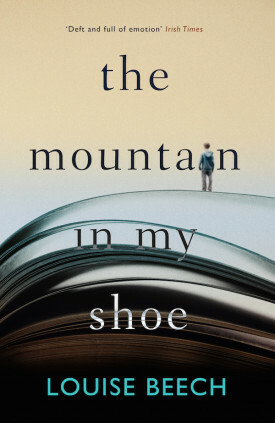 The mountain in my shoe is a beautiful and emotive novel that will leave you wanting more. 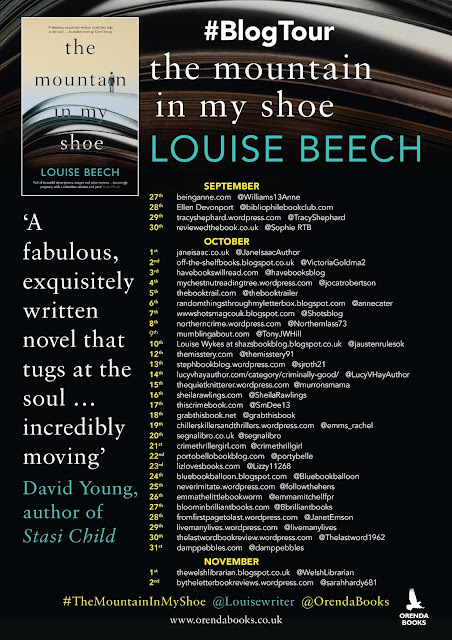 The mountain in my shoe is available to buy now via Amazon online and Orenda Books. Thank you to the publishers who sent me a copy of this novel in exchange for an honest review.